KADESH WELFARE SOCIETY is located in Visakhapatnam Andhra Pradesh . KADESH WELFARE SOCIETY is registered as a Society at Visakhapatnam of state Andhra Pradesh with Ngo unique registration ID 'AP/2013/0056819' . 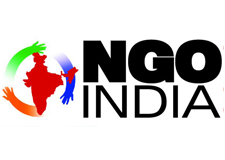 The NGO registration is done by Registrar of Societies with registration number 80/2008 on the date of 11-02-2008, Its parent ORganaisation is PaulFoundation. The Chairman of KADESH WELFARE SOCIETY is GOTTIPALLI SOBHA RANI and Chief functionary officer is NUTON ISRAEL NICODEMUS. Promoters are ARIPAKA BURNABAS, PRIYA VIJAYA KUMARI, Jesse Nicodemus,. In June 2009, Kadesh Welfare Society continued the home for the poor children with 4 more children in addition to earlier 5 children. They are Miss. Venkata Laxmi, aged 9 years, Miss. Manju, aged 9 years, Miss Krupa, aged 9 years, Master Mohan Rao, aged 5 years and Master Shalame, aged 7 years. The donations given to Kadesh Welfare Society are exempted from tax under Section 80 G(5)(vi) of the income tax act 1961upto 31 Mar 2012. In December 2010 Kadesh welfare society has distributed 50 Saris to poor / Widows in different villages, which was donated by the members. Got the Adult literacy project from Literacy India Trust, Chennai from March 2011.